People get used to capturing personal video with little GoPro box regardless of the length, content, framing and size, which makes trim and crop edits a must do if they plan to upload and share them on the web like Instagram, YouTube, Facebook or other places. GoPro has worked out many projects for viewing, editing and sharing source GoPro footage easily, among which GoPro Studio is taken as the best to trim and crop GoPro (Hero 7/6/5) video at one go. GoPro in-camera video stabilization is actually a combination of both lense and digital image stabilization. With GoPro video stabilization option turned on, any blur or distorted picture caused by camera shaking will be real-time smoothed out on machine. The image processor, say GoPro GP1, flexibly crops images round the edge and zooms images in, losing about 5%~10% of the image in total. Unfortunately, not all GoPro Hero machines get benefit from this stabilization feature, because GoPro has added it into Hero5 firstly and improved its performance on Hero6 and 7 (HyperSmooth in GoPro HERO 7 Black). Export original video from GoPro machine onto computer to standby. Open GoPro Studio and click "IMPORT NEW FILES" to browse and choose any source video to load to Studio. Play the video and click "Make In" and "Make Out" buttons respectively to do the rough trimming work for the first time (if you will trim it again later). And then click "ADD CLIP TO CONVERSION LIST" -> "CONVERT ALL". When conversion processing is finished, click "PROCEED TO SETP: 2" to continue. Choose an edit template or not, you're given the second chance to trim video into smaller and shorter one. There's no crop-titled option on Studio, but a "ZOOM" one under FRAMING CONTROLS to enable user zoom in or out video by simply dragging the scroll bar. Tap "Step 3 EXPORT" on the top toolbar to choose one output profile and then press "EXPORT" to type output file name to save. 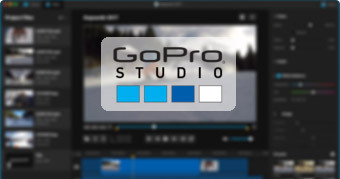 GoPro Studio offers 7 profiles in total with file size estimated in advance, among which YouTube, Vimeo, Mobile Device, HD 720P and HD 1080p are unchangeable with all parameters preset, while "Archive/Edit" and "Custom" allows to define video quality or even file format, size, and frame rate. 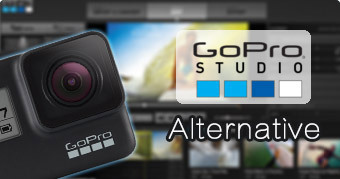 GoPro Studio was once included in the Quik for desktop (>> See GoPro Studio vs Quik). But in August 2017, it has been removed from Quik installer package since Quik 2.4, and also ended its life for downloading and support from the official site. In this way, Studio won't enjoy any further feature optimizing or performance improvement at all, with existing bugs being here forever. The end of the story is users with video trimming or cropping problems can only seek help from other GoPro Studio fellows online or move on to other GoPro video editors instead. - Trim video precisely by specifying start & end time; cut video to remove any unwanted segments. - Crop video in (16:9/4:3) certain aspect ratio or not; add black padding to video when cropping. - Trim/Crop any GoPro-shot or -themed related videos, at hardware accelerated speed. Free Download VideoProc to Trim/Crop Video with Turbo Fast Speed. In order to take an objective comparison between GoPro Studio and VideoProc, we will put focus on three key fronts: functionality, speed, and quality. V2.5, discontinued in August 2017. 3.2, will be continuously updated. Firstly, Studio's trimming & cropping features are only available for RAW GoPro videos or the ones processed by Studio. In other words, when you input any (GoPro) video downloaded online or processed by other software beforehand, the trimming buttons will gray out. 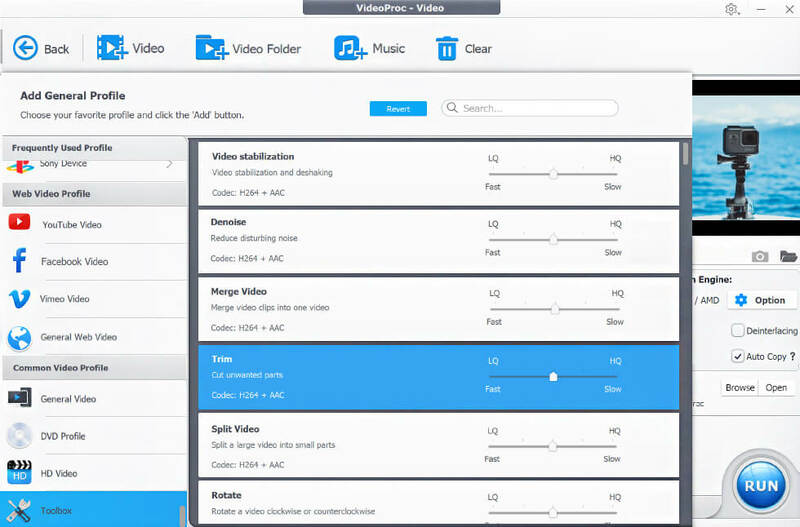 You have to convert video to AVI (default output format) or MOV (if QuickTime player is pre-installed) and reload it into software again to do the trimming. Secondly, users can only do rough trimming by marking start and end moment at the timeline. But the secondary cutting under edit control helps trim video more precisely. As mentioned above, framing zoom function is the alternative Studio offers for cropping GoPro Hero videos. The user can change the composition of a clip by zooming in or out, together with a horizontal/vertical panning, 4:3 to Wide/Center crop preset etc. Compared to GoPro Studio, this third-party GoPro video editor works in completely different way. It provides three independent features on GoPro Hero video trimming and cropping, which are "Cut", "Crop" and "Trim" respectively. 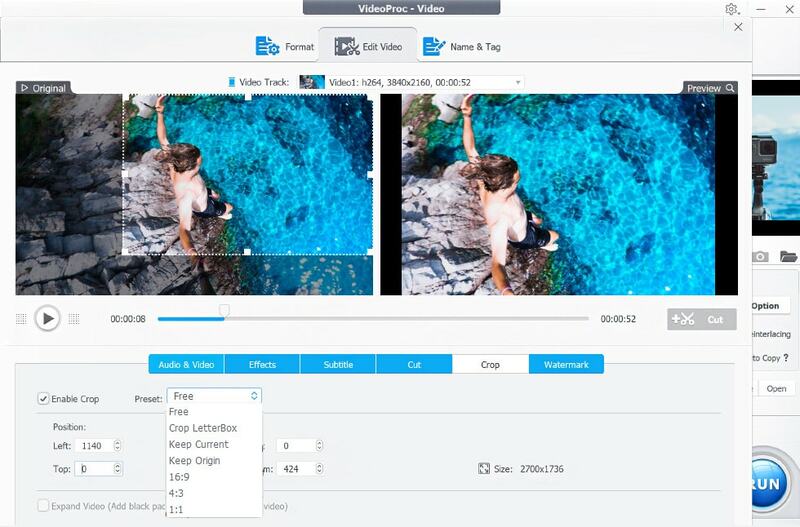 When you import native GoPro video into this project, be it GoPro raw footage, web GoPro video or processed one, you're free to start any of the three tools at will. Let's take a look at their workflow one by one. a) Trim: VideoProc places trim under its versatile and easy-to-find Toolbox. The user is able to do trimming work in two ways, specifying the start and end time not only by dragging the handles, but also by setting the time directly. 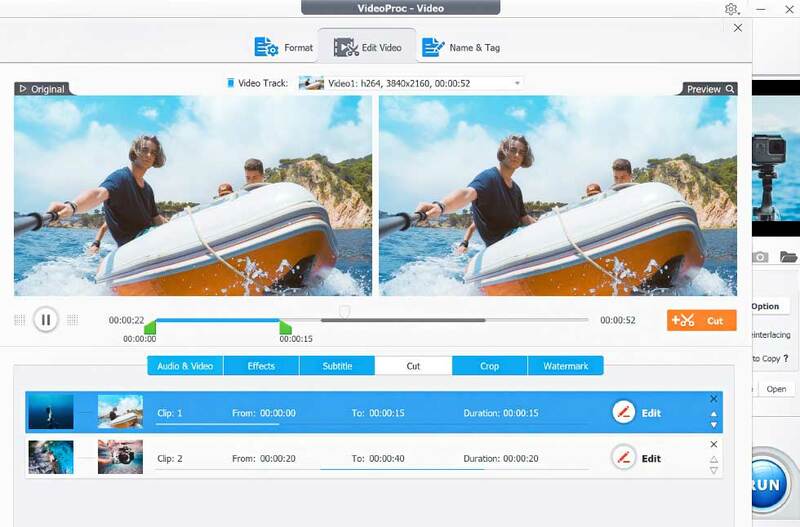 b) Cut: VideoProc's Trim feature empowers the user to keep the most favorable video clip here by cutting video at a time , while Cut gives unlimited times to select sections to remain and merge them together. c) Crop: Having the source GoPro video transcoded or not, VideoProc offers the chance to crop video neatly by one-click dragging or accurate framing position setting on left, right, top and bottom sides in fixed aspect ratio or not. As a traditional video processing tool, GoPro Studio finishes all of the trimming, cutting, and conversion works on general-purpose CPU, not taking the advantage of more efficient GPU at all. So better CPU contributes to faster speed when dealing with the same video. If your computer is built with the weak processor, it may max out CPU and slow down machine when handling some (large) GoPro videos. VideoProc follows the trend of GPU computing by supporting all available Intel/Nvidia/AMD hardware acceleration as long as your computer is qualified. By employing multi-core graphics card for the intensive media processing, VideoProc achieves up to 47x real-time faster speed when transcoding, editing and processing file. When trimming or cutting video with no codec/format altering or resizing, VideoProc would finish the work in a flash in "Auto Copy" mode. Before transferring and exporting trimmed or cropped GoPro Hero videos, it's available to custom the quality level from low to medium to high with fixed parameters. When choosing to export video at "Archive/Edit" mode, two more advanced high quality levels inherited from GoPro CineForm - Film Scan 1 & Film Scan 2 - are optional. When trimming source video with all parameters unchanged and choose high quality output setting, you will theoretically obtain stunning video as well. But in some casts it will decrease the image quality obviously, for instance exporting video to YouTube, Vimeo and Mobile Device with lower bitrate and frame rate. Cropping framing may also sacrifice video quality with more or less pixel losing. VideoProc all gives five quality levels for output from low to high. Although there're no Film Scan high quality options like GoPro Studio, VideoProc makes it possible to set output bit rate as ABR (average bitrate) or CBR (constant bitrate). Most importantly, 2-pass encoding is also available here to keep the best quality. VideoProc offers more profiles than GoPro Studio. Cover-all 420+ output profiles make it easy to trim, crop GoPro video into video audio formats (GoPro MP4, MOV, AVI included), for sharing on hot online video sharing sites, or playback on mobile/gaming consoles. Most importantly, all parameters of target video are free to check and adjust by the user. 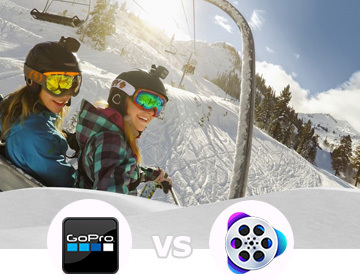 So GoPro Studio vs VideoProc, which is better to trim crop video? If your computer has equipped with GoPro Studio, you are suggested to trim, crop GoPro Hero 7/6/5 video with it by exporting at Custom mode [source frame size/rate + Film Scan Quality]. 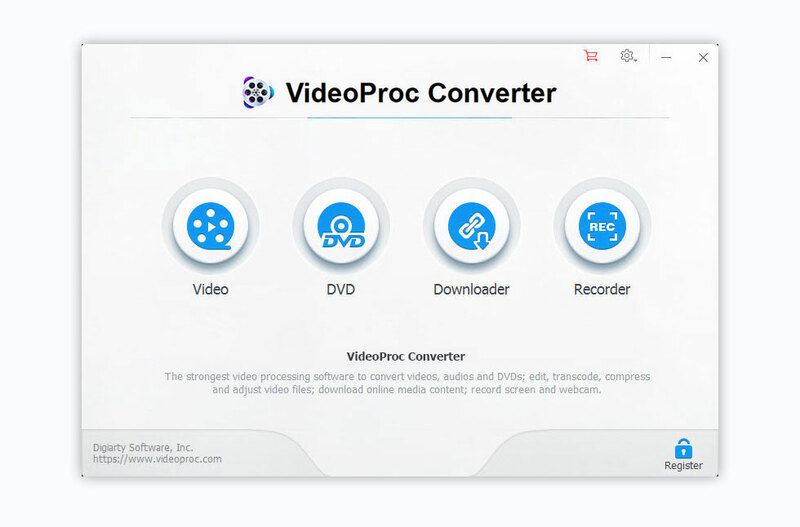 If you are frustrated with the workflow, processing speed or export video quality, VideoProc is a good bet to turn to. What is GoPro FOV? What's the best FOV setting for GoPro shooting?